The last 11 years has seen substantial growth for Dhoom Foundation in strength and quality and now with its new name, The DHOL Company it aims to dominate the Dhol industry. The development has enabled us to participate in some of the biggest events which have taken place in the UK. Our presence has been welcomed at all London universities, performing at some of the most exquisite venues such as The Queens Theatre, London Palladium and The Bloomsbury. Dhoom Foundation has also toured around Europe providing entertainment for many corporate and private functions. Our drummers are available for hire all over the UK and overseas. We provide Dhol services for Entrances at weddings, Mehndi nights, Geet nights, parades, charity events, corporate events, fashion shows, playing alongside DJs, carnivals and much more. We work with you to provide you the best service possible and to ensure we make your special occasion a memorable event. Over the past 10 years Jay has developed his skills in playing and Teaching Dhol. He has played all over the UK and parts of Europe with Dhoom Foundation. 2009 was a stepping-stone for Jay when he founded London School of Dhol. With his ability to teach, Jay has created a community of Dhol students from all ages and backgrounds. 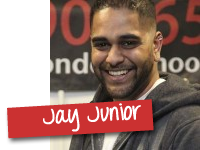 Jay runs one of the most popular and established Dhol School in the UK. His vision and aim for London School of Dhol has taken the school from being a small venture to now the fastest growing professional Dhol School in the UK. Since implementing a new brand, The DHOL Company, the empire surely looks to be developing fast and strong. One of the most dedicated members of Dhoom Foundation still stands by. Kunil has played dhol for over 7 years. His knowledge, skill and ability to perform has seen a huge progress. Kunil’s passion for dhol has been recognised by many and he is a role model for many students who want to follow his path. 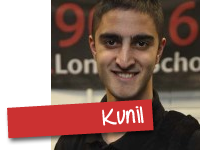 Kunil’s commitment and dedication to London School of Dhol has shown a vast change in him as a person. He now teaches at London School of Dhol and continues to strive for success. With over 5 years of dhol playing experience, Kishen has shown a huge improvement in his ability to teach and perform. 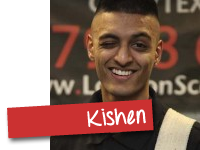 Dhoom Foundation and The Dhol Company has involved Kishen in many performances. He has shown 100% commitment to both organisations and plays a key role. His ideas and ways of interacting with students has inspired our students to be just like him. Kishen is one of our best students and has become a key leader by working his way up to now pass down his knowledge and skills learnt to others. 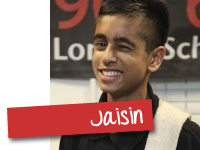 Jaisin has been with London School of Dhol for 5 years. With experience gained over the past 7 years, prior to joining London School of Dhol, he has shown huge progress in playing dhol and frequently performs at functions, shows and with DJ’s. At just 17 years of age Jaisin is a role model to many students of all age groups. He has developed as an individual and shown consistent dedication and commitment. He now plays a key role in the school as one of the teachers and is leading the students to where he is. Why not be part of the LSoD Family. We welcome professional Dhol players and senior students who would like to be part of the ever-growing London School of Dhol. Be a volunteer and teach your talent to other people. Share your skills and empower other students.